Just read that a second location for Elevation Burger is finally in the works at Northcross Mall, near Dos Batos. Had heard this was coming quite some time ago, but could find no evidence of progress. Finally there is some activity, and the Elevation website lists 2525 Anderson Lane as “Coming Fall 2010″, so it’s official. 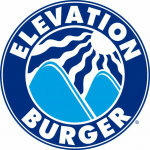 Elevation is a good chain in my opinion–fresh beef, cheddar cheese, no extra charge for any of their many toppings (including grilled onions), and tasty fresh fries.